Alphabet Cherry Picking | Pi'ikea St. 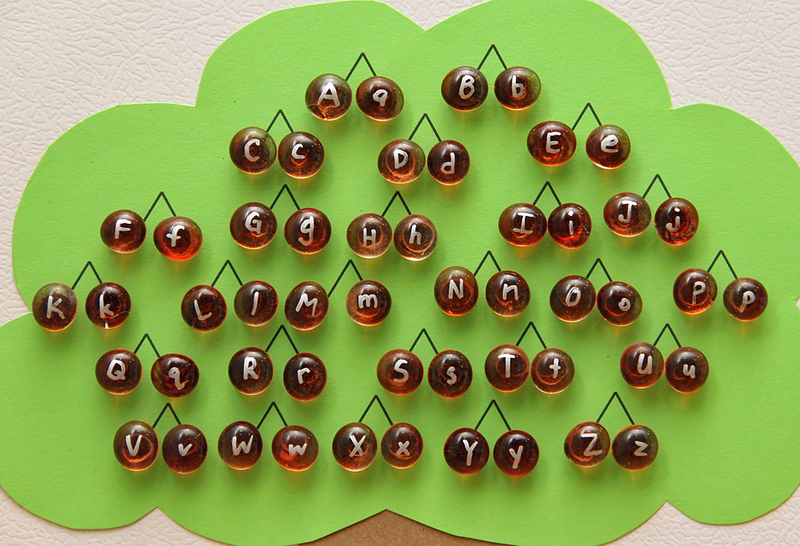 Create this fun activity for your kiddos this summer to help them learn and/or remember their upper and lower case letters. Just be sure your kids are well past the “oral exploration” phase, as these cherry magnets are small and look a lot like candy. Write the letters of the alphabet onto the gems. Cut pieces of the magnet. 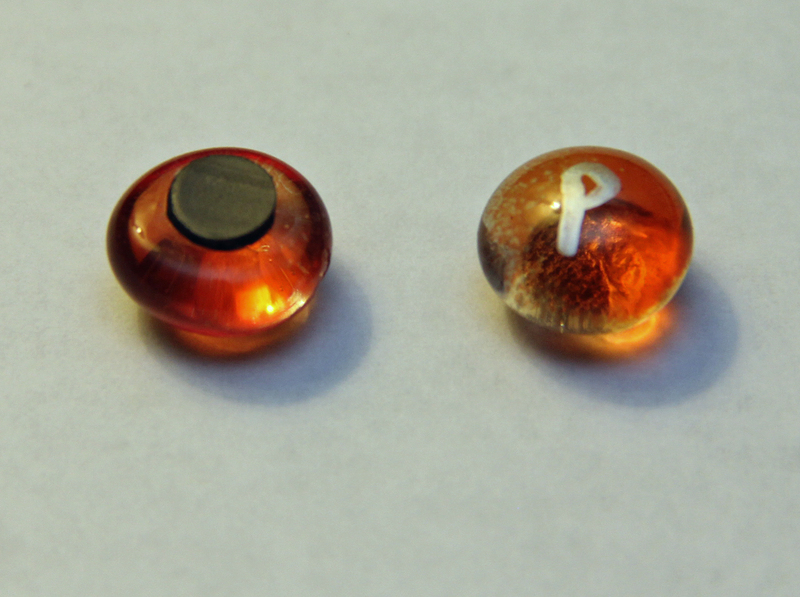 Apply a piece to the backs of each gem. Depending on how strong the adhesive is, you may or may not need to add an extra drop of glue. 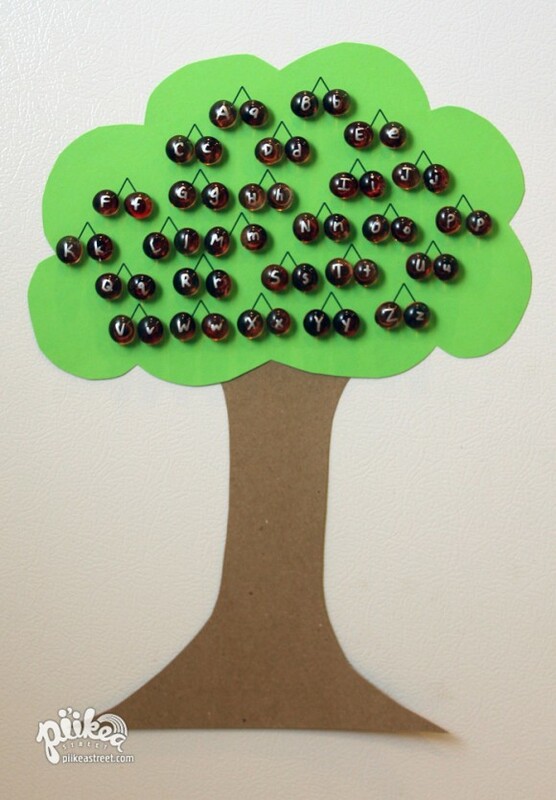 While the “cherries” are drying, put together your tree using colored paper and tape. Draw 26 cherry stem pairs onto the tree. Hang up on the refrigerator using an extra magnet or place on a metal cookie sheet. Here are a couple ways to play. If your child is already aware of both their uppercase and lowercase letters, then allow them to pair the letters onto each stem on their own. Younger kids might need help with their lowercase letters so place just the capital letters on one side of each stem pair. Help them find and place the matching lowercase letter with its uppercase partner. Once complete, they can pick their cherries and play again! p.s. We’re having a Pin It to Win It contest on Pinterest. If you’d like to win one of our kid-friendly apps check out the contest details here.